You can “dip” the credit card into the reader and leave it in place for the duration of the sale. You can hold contactless devices (such as an iPhone using Apple Pay’s NFC, or Near Field Communication, feature) near the reader to trigger payment. Because of laws shifting responsibility for credit card fraud toward the party with less secure technology, sellers were urged to upgrade their credit card technology to accept chip-enabled credit cards by October 1st of last year. There is no law, however, requiring you to do so. You can read more about the new laws and liability on Square’s New Payment Technologies page, or visit What Etsy Sellers Should Know About EMV Credit Cards. EMV stands for Europay, Mastercard and Visa, by the way. Square’s intention was to ship the new readers to sellers in early fall of last year, but when that didn’t happen, they offered Liability Shift Protection for those who had ordered the new readers. 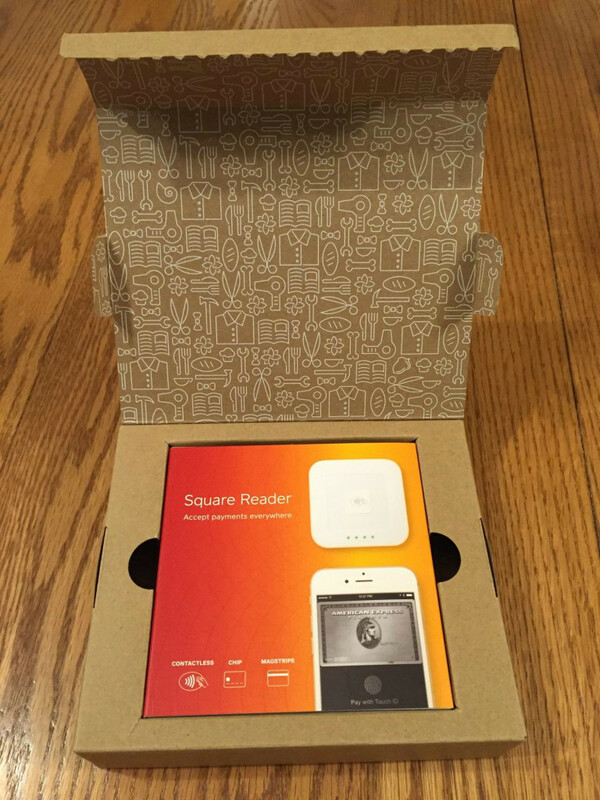 Well, my new Square reader finally arrived yesterday, wrapped in a cute little box. According to the back side of the box, the new app allows you to accept payments, tips, generate digital receipts and reports, take inventory, and more. Whether you are tapping (using the contactless feature), dipping (using a chip-enabled card), or swiping (running a card with a magnetic stripe through Square’s traditional reader, also included in the box), you pay 2.75% per transaction. Funds are deposited in your bank account automatically within one to two business days, and most importantly, you now have the most secure technology possible to protect you liability-wise against credit card fraud—assuming, of course, that you follow best business protection practices and best practices for accepting credit cards. The new Square reader, incidentally, is made for both iOS (Apple) or Android devices with Bluetooth LE. 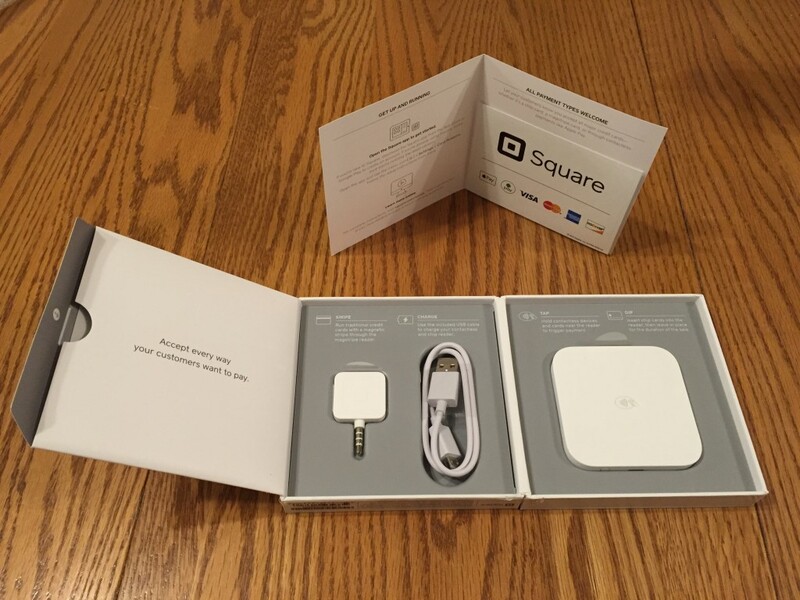 You can visit square.com/BLE to learn more about whether or not your device is compatible with the new Square reader. If you have already been using Square’s old reader for credit cards with a magnetic stripe, the device shown on the left in the photo above is no different than what you’ve been using. The device on the right, also shown below, requires you to charge it with a USB cable before using it. The cable is provided in the box. If, for some reason you encounter problems, you can visit Square’s Tips and Troubleshooting page for assistance. The contactless and chip card reader is easy to use, as illustrated in Square’s video below. I’m looking forward to trying out the new reader, but probably will not have a chance to do so until the fourth quarter of 2016, when I typically sell at craft shows. This also means that I won’t be able to take advantage of Square’s offer to cover transaction fees for the first three months after the device was shipped. Instead, I’ll simply take the cost of the device as a business expense. You may be using another credit card reader, such as the one offered by PayPal or by Etsy. I can’t speak about the PayPal reader, as I haven’t used it, but I have successfully used the Etsy one, used in conjunction with the Sell on Etsy app. Etsy’s reader is for swiped cards only—for cards, in other words, with a magnetic stripe on the back side. You can, however, enter a credit card number manually into the Sell on Etsy app to accept payment. To Etsy’s credit, it has said, “Etsy will absorb the liability for credit card losses (including chargebacks) when we find that they resulted from third-party fraud.” Hopefully the site will come out with its own contactless and chip card reader, but to date I have not heard any news about such a plan. 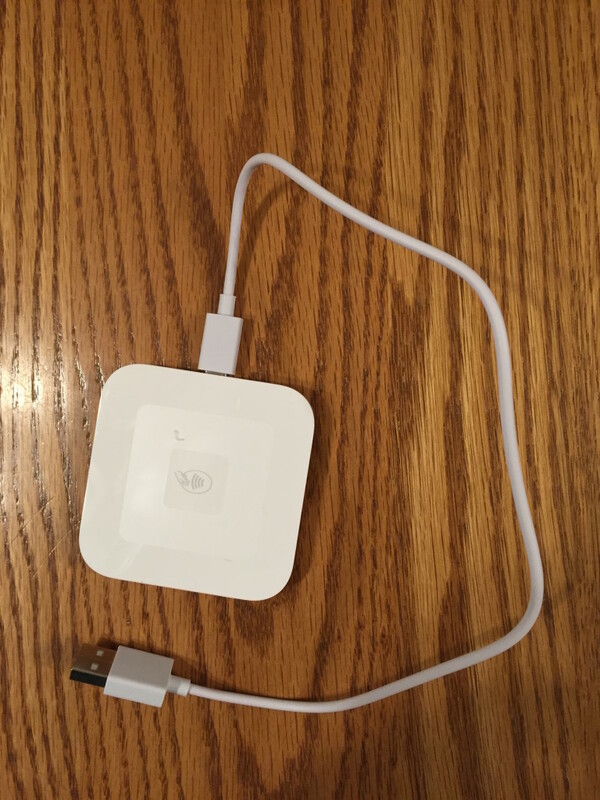 If you have used Square’s new credit card reader, I’d be interested to hear about your experiences, good or bad. 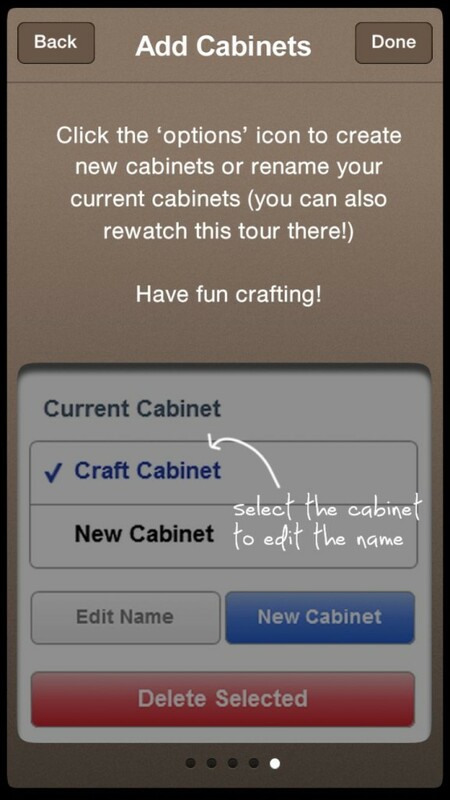 In yesterday’s post, I discussed a specific iPhone app, Craft Cabinet, which is designed for keeping track of your craft tools and supplies, as well as your projects. Unlike a Microsoft Excel spreadsheet in which you might enter inventory data into cells, Craft Cabinet is a general-purpose inventory system that uses visual lists (words and photos) for crafts. One of its advantages is that because it is so general, you can customize categories for any items you wish to enter. At the same time, one of the app’s disadvantages is that because it is so general, you have to take the time to create a system that works for you. 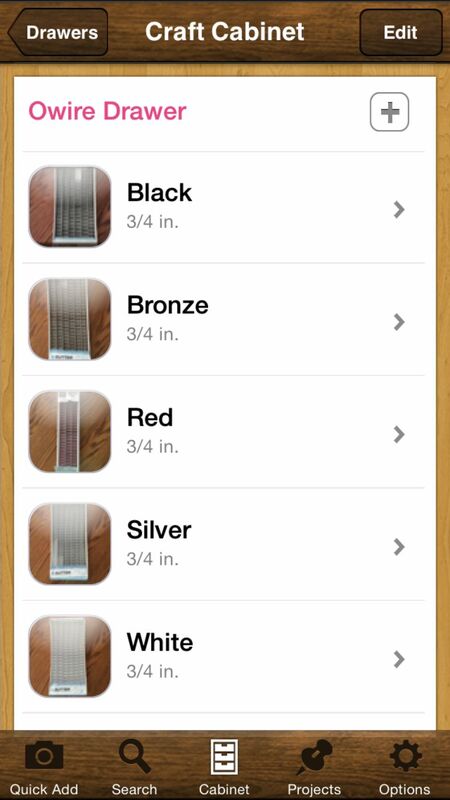 In a perfect world, it would be great to use an inventory app that is tailor-made for your category of craft supplies. Today’s post explores exactly that—a free inventory app designed for Tim Holtz’ mixed media craft supplies. 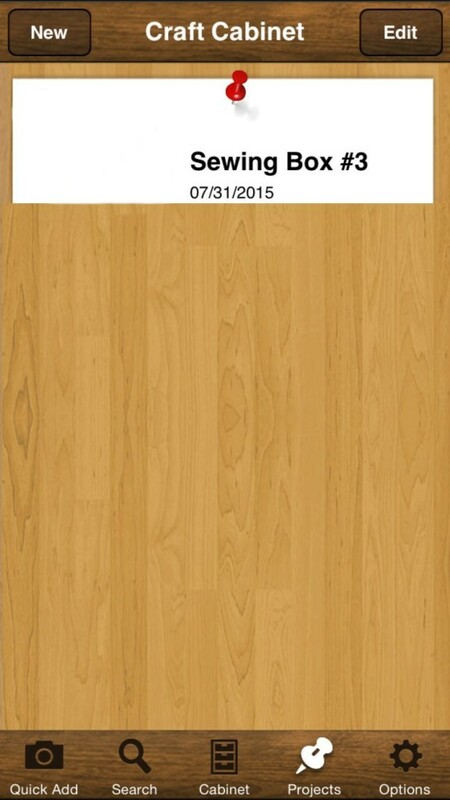 The app is appropriately called Tim Holtz, whether you’re using the iPhone or Android version. While Craft Cabinet works only on iPhones, iPads and iPods, and doesn’t sync through the Cloud across devices, the Tim Holtz app does. If you’re carrying your smart phone with you into a store to buy some of his branded supplies and make changes to your inventory while you’re there, in other words, your tablet that waits for you on the coffee table at home reflects those same changes. 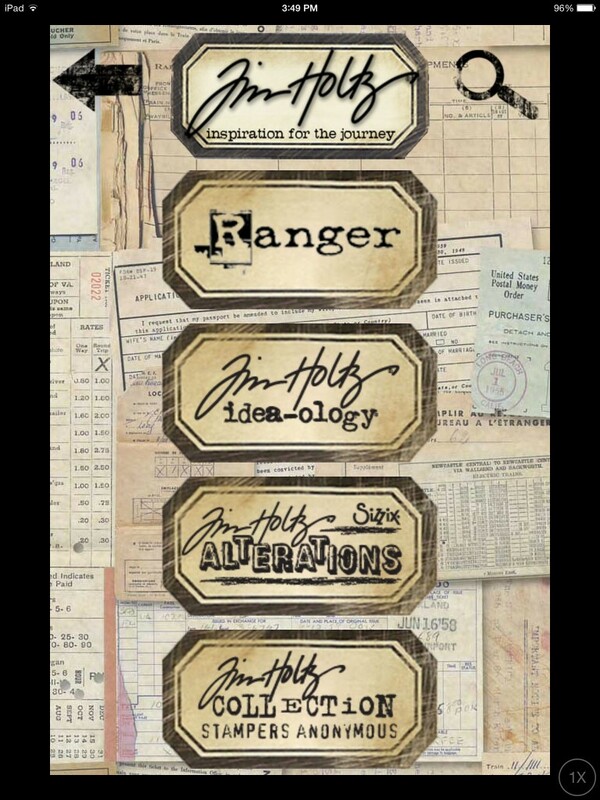 The Tim Holtz app is much more than an inventory system. It links you to Tim’s blog posts, his video tutorials, and his calendar that shows where he is touring. You can find his entire product list on the app, and create a wish list from it that you can use when you shop. If you’re not certain whether you have bought an item previously and want to avoid duplication, the inventory section of the app solves that problem. 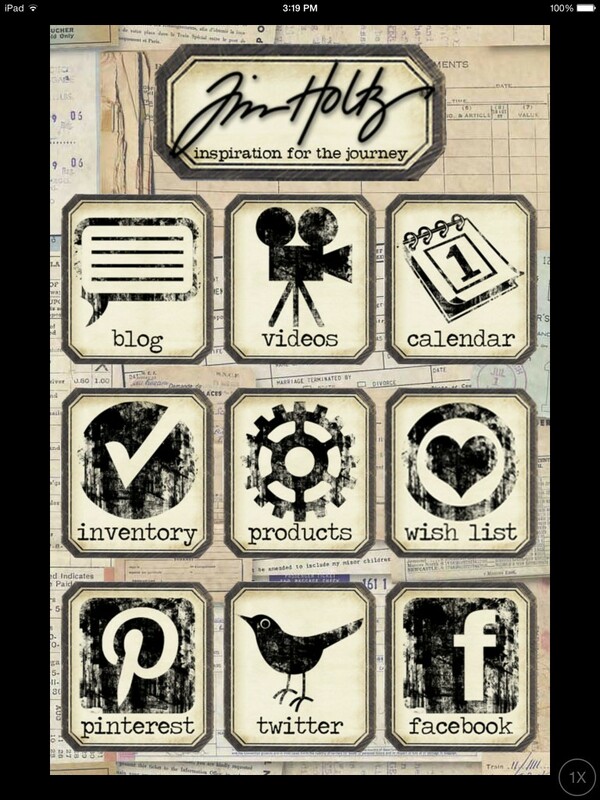 And, of course, you can use the app to follow Tim Holtz on Pinterest, Twitter and Facebook. 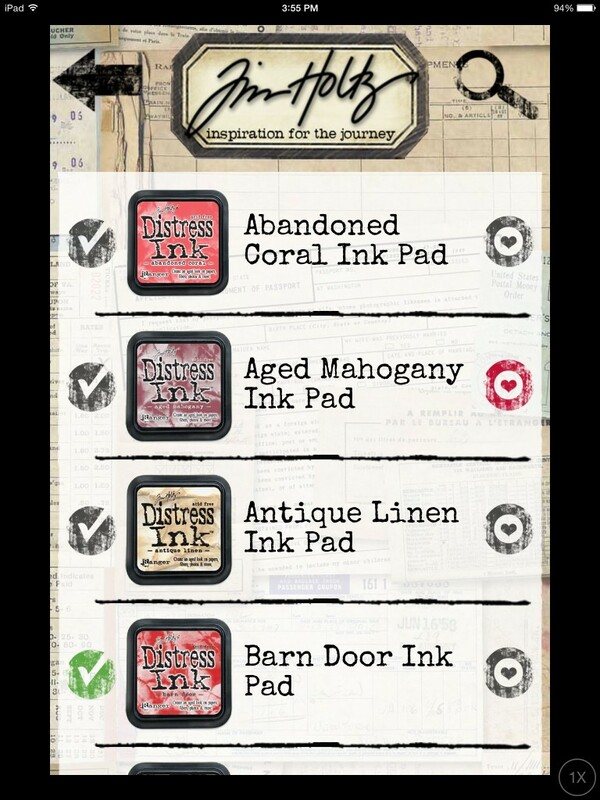 The Inventory, Products and Wish List parts of the Tim Holtz app are interconnected. If you want to add items to either the Inventory or Wish List, click on the Products icon first, which shows seven product lines. The screenshot below shows only four product lines; you need to swipe through the screen of your device vertically to see the others. One of the products I use most frequently is Distress Inks, which are part of the Ranger line. 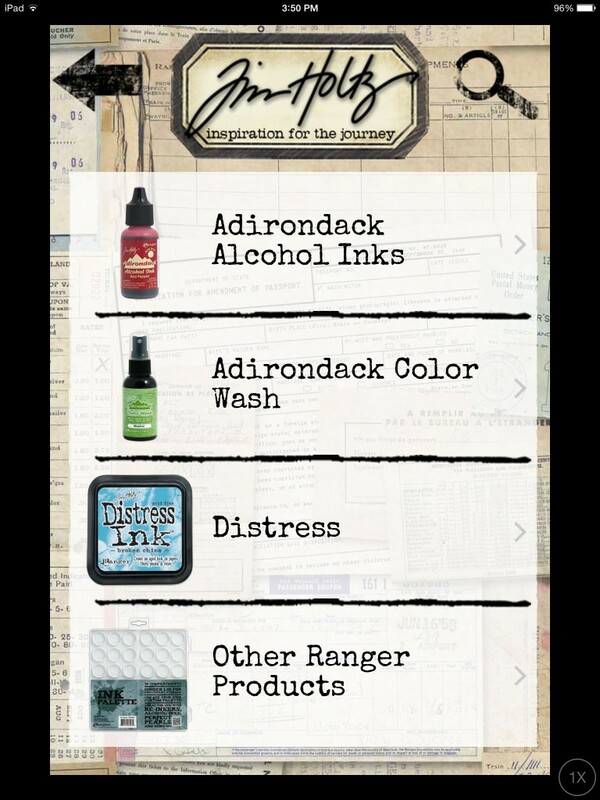 When you click on the Ranger icon, you’ll see four different categories of products: Adirondack Alcohol Inks, Adirondack Color Wash, Distress, and Other Ranger Products. 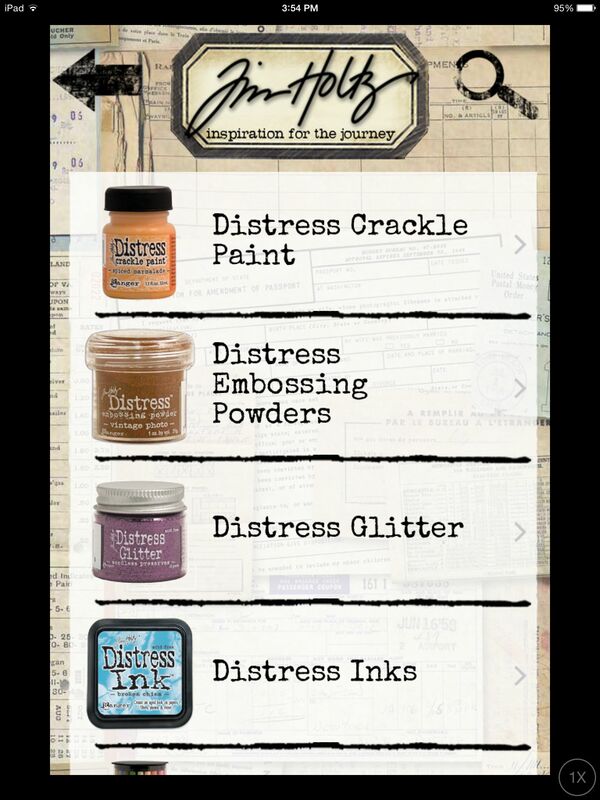 If you’re looking for Distress Inks, of course, you’ll click on the Distress icon first, and then the Distress Inks icon. An alphabetized list appears, with checkmarks on the left side of individual products, and hearts on the right side. When you click on a checkmark, it changes to green and is added to your Inventory. If you click on a heart, it changes to red and is added to your Wish List. That’s about as complicated as the app gets when it comes to tracking your supplies. As much as I like the Tim Holtz app, like most apps it glitches every so often. When I accessed the app today, the two functions that weren’t working were the Videos and Facebook features. These are not essential, however, as I have alternative ways to access Tim Holtz videos and Facebook posts on my mobile and desktop devices. I assume the bugs will be fixed soon, as this app is updated regularly. The last update for the iPhone version, for example, was March 18, 2015. Obviously, this app is geared toward a specific product line, but if you regularly purchase items in that line, the app is indispensable on your trips to the craft, hobby or scrapbooking store. 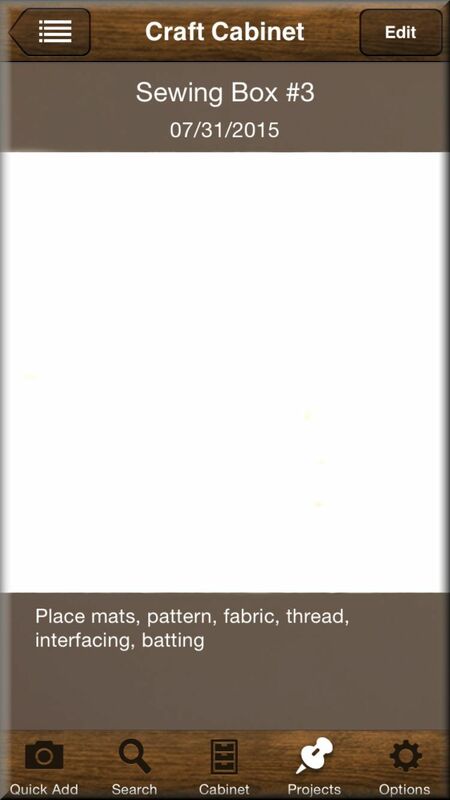 I have a pretty large collection of Tim Holtz products, so this app prevents me from duplicating items on my shopping excursions—and it saves me a tremendous amount of time because I don’t have to create a catalog of the products first. The next post in this craft inventory series will discuss another app geared toward a specific product line, so check back soon. One of the endless missions in my crafting life is to organize my supplies and finished products so that I can locate them easily, and know how many of each item is on hand. This enables me to reorder supplies efficiently, and to determine where I need to focus my creative efforts. Depending on your preference, you can inventory both types of items through a spreadsheet (or some other list-keeping method that involves writing things down), or visually. There isn’t a right or wrong inventory method, but if you prefer to see pictures of what you have on hand, there is an app called Craft Cabinet that will enable you to take a visual inventory of any craft supplies, tools or products you own. To be honest, I already inventoried most of my craft supplies and craft projects through Microsoft Office Excel spreadsheets. But I wanted to see how Craft Cabinet might compare, and to explore some areas where it might be preferable to using spreadsheet software. When you first open the app, this is what you’ll see. Craft Cabinet creates three Drawers to which you can add items called All, Uncategorized and Wishlist. By clicking on New in the upper left corner, you can create as many of your own Drawers as you need with customized labels. I added a Drawer called Owire, intended to keep track of the colors, sizes and quantities of owire I have purchased for the books I bind. The number zero to the left of the Owire label indicates that I have not yet added any items to that Drawer. After I added items to my Owire Drawer, the opened Drawer showed five different colors of owire. 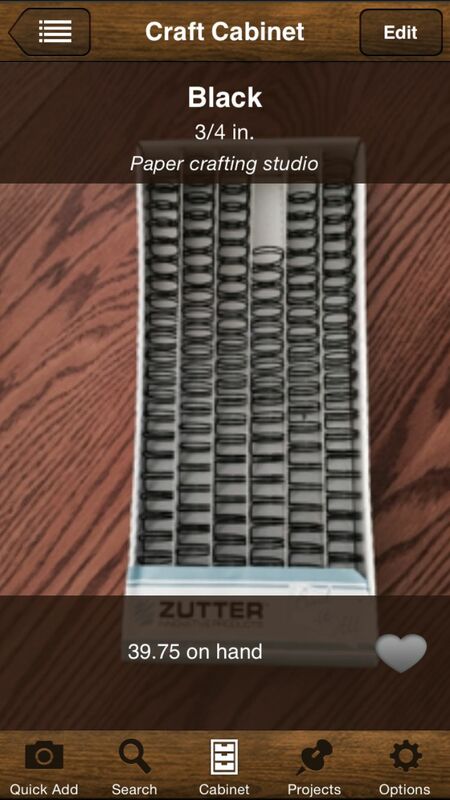 These items are similar to physical files in the drawer of a metal filing cabinet. You can take photos of items as you add them to a Drawer, or use photos from your iPhone’s or iPad’s camera roll. They appear as thumbnails in the item list, and as wallpaper when you click on an item. I’m not sure where the photos are stored. When you snap photos within the app, they are not stored in your iPhone’s or iPad’s camera roll. When you add an item to a Drawer, you’ll be able to enter such details as Name, Description, Location, and Notes. From top to bottom, you can see these details in the photo below. When you click on the heart in the lower right corner, it changes to yellow, and then that item is added to your Wishlist, making it handy for items you may need to reorder or purchase. The heart is a toggle button, so you can remove items from the Wishlist by clicking a second time on the heart. At the bottom of the opening or home screen, also known as Cabinet, is a Projects icon, represented by a pushpin. When you click on that, a Projects window opens up where you can enter such details as Name, Date and Description. And, of course, you can add a photo. I can see that the Projects feature would be handy to keep track of UFOs (UnFinished Objects), particularly since you can take a photo of the items that are part of the project. This is a newly-created Project. There is no thumbnail photo because I have not yet taken one. When you open up a Project, there are places for a Name, Date and Description. You can add a photo anytime you wish. The photo for this Project has not yet been added. Also on the home screen is an Options button, represented by a gear. When you click on this button, you can Add Cabinets, edit the name of an existing Cabinet, or delete a selected Cabinet. There is a five-screen tutorial that can be accessed from the Options button as well. Entering information into the app, and taking photos, takes more time than data entry does for a spreadsheet. But once that information is entered, it’s easy to locate and use. I don’t think photos are needed for every item in your inventory, however. The owire information that I entered in the app would be faster to enter and access via Microsoft Office Excel. The app does not sync with other mobile devices. If you use it on your iPhone, for example, you can’t sync with the same app on your iPad. Hopefully a future version of Craft Cabinet will remedy this issue. This 99-cent app is designed to work only on the iPhone, iPad and iPod, not on other mobile devices. The app sometimes crashes without any warning (fortunately, without apparent data loss), and the camera feature—which is what makes this app visual—can be buggy. The last time the developer updated the app was in March of 2014. Do you use an inventory app on one of your mobile devices? How is it working for you? Return tomorrow for a review of another craft inventory app.